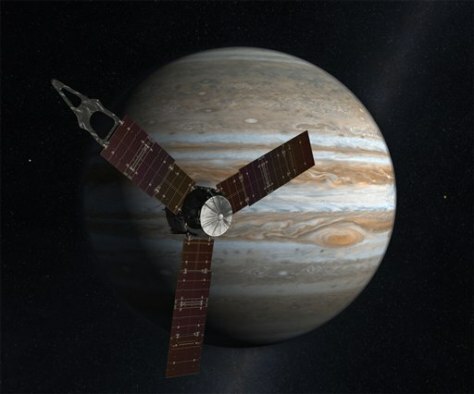 This artist's rendering shows the Juno spacecraft circling Jupiter. On Thursday, the spacecraft executed the first of two engine burns aimed at setting itself up for an Earth gravity assist next year. It's due to arrive at Jupiter in 2016.